DeShone Kizer had a lot of reps to work with in the first quarter of his NFL regular season debut, and he decided to take it into the end zone on one of them. 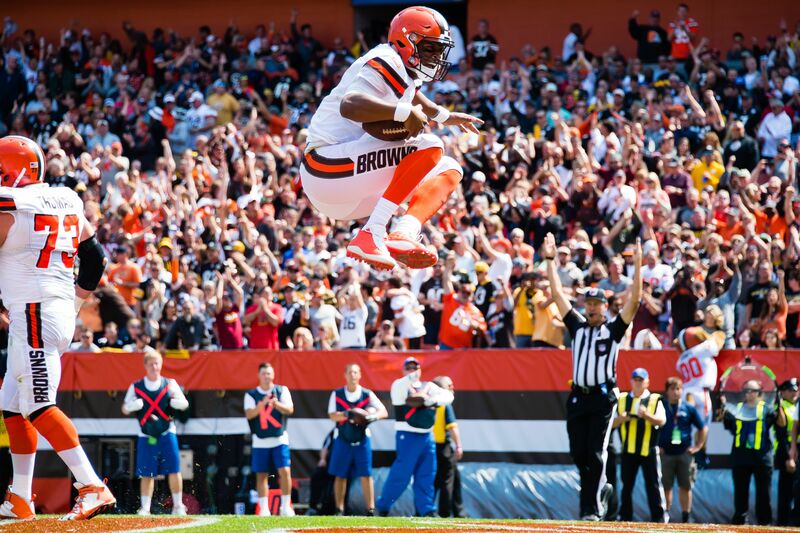 The Cleveland Browns got both ends of the spectrum to start their year in the first quarter of their season opener against the Pittsburgh Steelers, and they got to see a lot of rookie quarterback DeShone Kizer in the process. After their first drive got shut down early in the quarter and ended with a blocked punt for a touchdown by the Steelers, Kizer got a lot of work in the first quarter under center for the Browns, and managed to put together a solid drive to end the quarter. As the Browns got to the goal line, the rookie quarterback took matters into his own hands, and he followed the charge of the Browns offensive line to power into the end zone on a quarterback sneak to score his first touchdown of his NFL career. The touchdown was the team’s first touchdown in the first quarter of a season opener since 2010, which looks to be a good sign for the Browns offensively with a rookie leading the way for them under center. The Browns showed their faith early in the young quarterback when they named him the started in the preseason, and it looks like they won’t have any problems getting production in return for their good faith with Kizer. The rookie has looked calm in his first regular season action, which is telling considering the big stage he’s under at home against a big AFC North rival in the Steelers. Now, it will be interesting to see if Kizer can keep up the pace in Cleveland, or if he’ll fade away as the hype wears off in his NFL debut.